I specialize in representing buyers & sellers for single-family residences, condos, townhouses & land within Brevard County. I keeps current on all inventory in both mainland & Beachside properties. 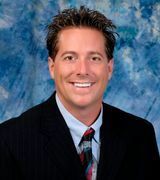 In 2012 I closed over 10 Million in sales & made it into the top 1% of Brevard County agents and there I remain. (fyi...there are 3200 agents in the county) In 2013 I reached over $12,000,000 in total sales & was inducted into the "RE/MAX HALL OF FAME" after only 5 years in the business. In 2014 I was fortunate enough to be in the top 20 agents in the county with over $15,000,000 in sales. In 2015 I closed over $22,000,000 and made it into the top 15 agents in a county with 3200 agents total & gave me the "Chairmans Club" stature. In 2016 I ended up closing over $18,000,000 which put me in the top 20 again...keeping in mind that most every agent above me in sales works in teams. In 2017 I was once again ranked in the top 25 agents in the county by selling over $17,000,000. In 2018 I received the "Lifetime Achievement Award" and ended up closing 50 properties for over $18,000,000. This landed me once again in the top 1% of Brevard County Agents! In summary, I have single handedly closed over 380 transactions which equals around 175 Million Dollars of Real Estate since I started in the bad market of 2007/2008...I work alone with no partner or assistant...the most important thing is that all my clients seem to be happy! Rest assured you are in very qualified hands! My specialty is marketing unique properties and water properties by using a professional photographer to capture the most beautiful pictures and an array of special internet marketing accounts that attract buyers from all around the world. I also have the experience and knowledge to help ANY seller that wants an agent that is hardworking, trustworthy and goes the extra mile to handle each of his clients on a "one on one" basis. Todd has been serving the citizens of Brevard County for many years with high energy, hard work and his unique way with people. His vast knowledge of the many neighborhoods and communities in the area, interest in real estate and willingness to go above and beyond for his clients is a winning combination for either buyers or sellers! This type of attitude has made him "Top 1% of Brevard County agents" in sales! Todd moved here from Minnesota eighteen years ago with nothing more than his unique way with people and the support of his family. He landed a job in the service industry similar to his position in Minnesota. After two years of hard work he and his family built their first home in Melbourne Beach. The process of building and maintaining a house has inspired him to help others live that same dream. Todd and his family devote much of their spare time to helping animals with the goal of one day starting an animal sanctuary. Todd has taken this same drive and motivation along with a great attitude into his real estate career. He specializes in representing his clients with their best interest always in mind.